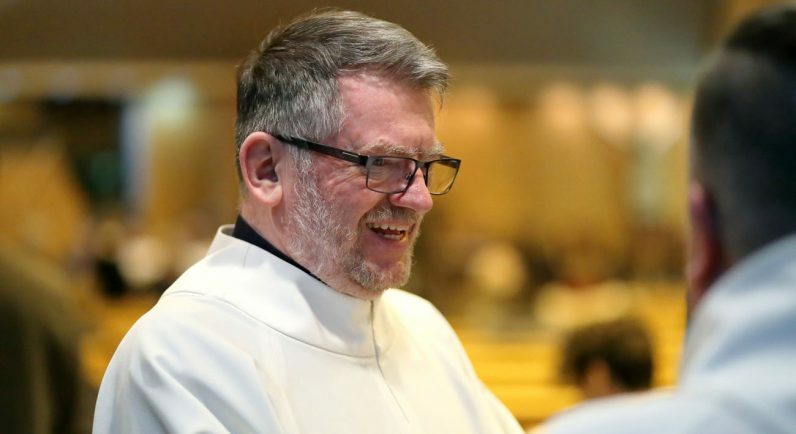 QUEBEC CITY — The Catholic bishops of Quebec have discussed the possibility of ordaining married men to priesthood. “During a closed hearing at a recent plenary session of bishops, there was talk of the ordination of married men of a certain age, whose ecclesial commitment is tested. This is an important reflection that we have right now,” he said in mid-March. “The situation of churches continues to change. In the last decade, there has been a significant decline in the demand for sacraments, including even the funeral rite. The church has become like a vestige of the past, destined to be marginalized. The faithful still present believe that there’s still Good News to share, but it will have to be done differently. We will have to be persevering,” said Bishop Pelchat. “More and more, we hear the call to set out and engage in a movement of pastoral conversion, including our structures, to reverse the church (dominant) position we have known. I have not been trained for today’s church, but one has to adjust,” said the 67-year-old theologian. Demers is a journalist for Presence info, based in Montreal. A man would find it very hard to hold both and do them effectively. The church has become like a vestige of the past, destined to be marginalized.” This is almost funny following the article on contraception. Does this fall under “underprivileged”: or “pelvic” issues”? Interesting! Maybe if the ‘faithful’ had truly respected the priesthood, and the priesthood had truly respected and shepherded the people, I believe we certainly would have had a steady flow of young and holy men seeking to take up their calling and the will of God to become priests. In so many ‘first world’ or ‘developed’ societies, the priesthood has not been promoted by faithful families to their sons for probably the past 30+ years, and this is what has contributed significantly to the declining number of priests. Add the sexual abuse, liberal/progressive attitudes, etc., and its a wonder we have any young priests or seminarians at all. Bending the rules to temporarily patch this problem is not a real solution. We need to support the priests and seminarians we have, and as a faithful community and family, we need to believe in the priesthood and promote it to our sons. In the meantime, we need to look at accepting a new wave of immigrant priests to fill the void we ourselves have created. Further, despite the groans of inconvenience and selfishness, maybe it’s also best that we experience what small regional/rural communities have been living with for some time so that we finally wake up and truly appreciate what we do have. I think it’s about this problem of having married priests be addressed. In Philadelphia , I see churches having to close because there are no priests to fill in and carry on the duties of parish life. There are some reas of Philly that when this happens the elderly folks who do not have transportation have greater distances to walk to get to church. This problem can be immediately addressed by promoting existing Deacons to become priests. They already carry on many of the functions of a priest now. Many of the apostleswere married. The “modern” day church must answer this question now- Do they want the present day catholic faith fade away because of the lack of priests. Now is the time to answer this question truthfully..
We need married priests and female deacons asap. Yes, I agree we must adjust, but what the Bishop says is true…consolidation or closing of parishes is NOT the solution. We must pray first and foremost for increased vocations and we must make our case for attending and participating in our sacraments, and mass as well, a stronger case. Has our economy and all the distractions of life caused this? Yes! We have to recapture the essence of life in that we need to know that God made us to know Him, love Him and be happy with Him some day in heaven. To do that we need an active faith!